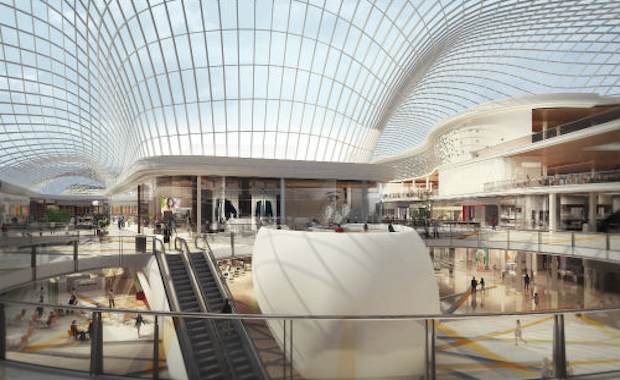 The first and most significant phase of Chadstone’s $660 million development is officially unveiled to excited shoppers on Thursday, October 13. The unveiling will open more than 60 new retail stores, two new dining precincts and a new state-of-the-art HOYTS cinema complex. At completion of the development in mid-2017, Chadstone will feature close to 600 retailers including some of the world’s most iconic luxury designer stores, premium international retailers, an exciting collection of flagships, a range of general retail offerings, two new dining precincts and Australia’s only LEGOLAND® Discovery Centre. “Chadstone is already one of the leading shopping centres in the world, and this expanded offer will take the customer experience to the next level," Vicinity Centres CEO and Managing Director Angus McNaughton said. The centre will also become home to the first integrated retail dealership for Tesla Motors in Melbourne, active living retailers including Nike and Rebel Sport, and the first Australian store for beauty brand Bath & Body Works. Another attraction for customers will be the highly-anticipated dining and entertainment offer, featuring the new Dining Terrace and Food Central, a 1,300-seat, 20-plus tenancy food gallery. Over the coming months, Chadstone will continue to welcome new luxury boutiques including Valentino, Celine, Fendi and Loewe, along with premium international stores including Kate Spade, Reiss, Kit and Ace, Cos and Michael Kors. Chadstone will also provide extended trading hours from Thursday 13 October – to 9pm on Saturdays and 7pm on Sundays – ahead of Christmas trading hours commencing in December. The new centralised bus interchange and taxi rank, and a total of 10,000 car parks, will help the centre become more accessible for visitors. “Customers want more choice about how and when they enjoy their shopping experiences," Mr McNaughton said. Chadstone is co-owned by Vicinity Centres and Gandel Group.